Explore Copenhagen with a private guide leading the way during this half-day walking tour. 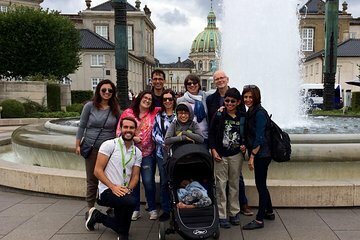 Set the pace for your individual tour and visit historical and cultural landmarks such as Town Hall Square and the Amalienborg palace. Get a thorough introduction to Copenhagen’s main attractions including Nyhavn, the Royal Theaters, and the Little Mermaid Statue. The tour starts at the Town Hall Square next to the Dragon Fountain. The tour will finish at Amalienborg Palace. It takes approximately 15 minutes to walk back to our start location.